I refer to the head, health and cutter that too often doesn’t of Kenley Jansen. The closer may have slipped out of the World Series clubhouse and into the winter in something of under the radar fashion, but it would be foolish to think he is not a major concern to the Dodgers. At 31, with three years and $56 million remaining on his contract, Jansen is coming of a season marred by home runs and a lingering heart issue that will be addressed by off-season surgery. 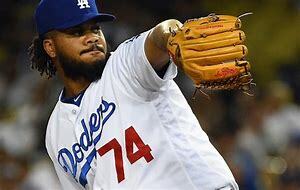 How much, if at all, that has preyed on his mind is uncertain, but surrounding periods of familiar dominance, Jansen allowed a career high of 13 homers in 2018 while producing a career low in strikeout rate per nine innings. And in the World Series he gave up pivotal home runs in the eighth inning of both Games 3 and 4 (over 12 2/3 innings in the last two World Series he has allowed four home runs amid eight hits). The Dodgers, of course, will say Jansen IS fine and WILL be fine, but 2019 looms as the ultimate judge. –There has been speculation that Kershaw would use his opt out to find a home closer to his Dallas home, but coming off a season of injuries and reduced velocity, in a free agent winter of quality pitching, there is major risk in walking away from a contract that guarantees $65 million over the next two years. The better bet, perhaps, is that he and the Dodgers will find common ground in a one or two year extension, allowing Kershaw to wrap up his career where it started. They have 72 hours to decide. –With the Series putting a brighter light on their wholescale platoon changes, the Dodgers hit (so to speak) .180 in the five games, collecting 34 hits compared to 56 strikeouts, a familiar ratio. A futile, falling to one knee swing by Machado, was their final gasp as Chris Sale struck out the side in that last inning. The Dodgers led the majors in home runs with their launch angle focus but the Red Sox were more proficient, leading in runs period. –No prospective free agent enhanced his market status more than Boston’s Nathan Eovaldi, who, after relief stints in Games 1 and 2, and scheduled to start Game 4, turned in what both teams labeled a heroic, six inning relief performance over the final six innings of 18 inning Game 3. Max Muncy’s walkoff homer decided the outcome but won’t diminish Eovaldi’s sales pitch in a market in which Patrick Corbin, Dallas Kuechel and J.A. Happ are among the prominent names. Eovaldi could be a lights out closer with his 100 mph fastball but will be sought as a starter, the Red Sox among the suitors. –Neither Roberts nor Rich Hill came off looking good in the aftermath of that pivotal decision in Game 4. There was clearly a breakdown in communication between pitcher and manager, and in what was later communicated by both to the media. Both may have learned a costly lesson, and it is hard to believe the Dodgers would make Roberts pay with his job for this second straight October failure. Two straight National League pennants and division titles should be the overriding factors in a contract extension.